Looking for a Used CLA-Class in your area? 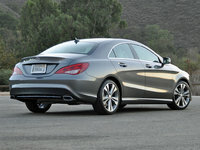 CarGurus has 6,113 nationwide CLA-Class listings starting at $11,999. The concept seems otherworldly, but Mercedes-Benz actually has a pretty nifty entry-level luxury compact sedan for a price that’s within reach of the average family. 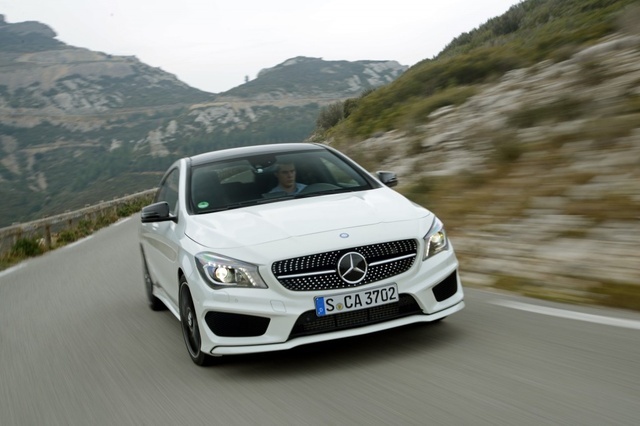 After a successful 2014 debut, the German automaker returns the commuter-oriented 2015 CLA-Class in 3 trims: the base CLA250, the traction-boasting CLA250 4Matic, and the precociously potent CLA45 AMG. 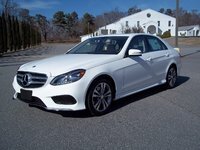 This downsized Benz 4-door seats 5 and brings a hefty dollop of upgrades to this present model year, including a comfier suspension for the entry-level CLA250 and its 4Matic sibling, as well as standard keyless ignition and auto dual-zone climate control (both of which were optional last year). Also new is an optional remote keyless entry feature, a standard 7-inch infotainment display (the 8-inch display remains optional), and an upgrade to the available forward collision warning system, including quicker collision-mitigating braking. The CLA250, meanwhile, remains available only with front-wheel drive (FWD), while the CLA250 4Matic and the CL45 AMG each boast standard intelligent all-wheel drive (iAWD). Looking at the perks in the 2015 CLA250 and CLA250 4Matic, you’ll find standards like 17-inch alloy wheels outside, while leatherette upholstery, power-adjustable front seats with driver memory settings, full power accessories, the new-for-2015 keyless ignition, cruise control, and telescoping tilt-wheel steering grace the interior. Also inside, expect to see the COMAND infotainment interface complemented by the newly standard 7-inch touchscreen, along with Bluetooth-integrated mbrace2 telematics and smartphone apps, and the newly standard dual-zone auto climate control. A single-CD player with high-definition radio and auxiliary audio input tops it all off. To the above, the athletically leaning CLA45 AMG adds a sport-tuned suspension, a sport exhaust system, 18-inch alloy wheels, up-sized brakes, and added aluminum exterior trim pieces. As for optional equipment in the 2015 CLA-Class, expect the Premium package to add satellite radio, heated front seats, auto-dimming mirrors, 12-speaker Harman Kardon premium audio, and a remote garage door opener. The available Interior package, furthermore, adds leather upholstery and upgraded ambient lighting to the options list, while the Sports and Sports Plus packages toss virtually all of the CLA45 AMG’s athletic equipment onto either CLA250 iteration. A Multimedia package also returns optional for 2015, which boasts GPS navigation, an in-dash DVD player, a rear-view camera and advanced voice control features on the COMAND network. Upgraded wheels also remain available to all this year’s CLA-Class editions. Once again powering the CLA250 and its 4Matic kinsman, a turbocharged 2.0-liter inline 4-cylinder engine combines with a 7-speed auto-manual transmission boasting steering-wheel-mounted paddle shifters. Look for 208 hp and 258 lb-ft of torque from this forced-air I4, with mileage estimated at 26 mpg city/38 highway in the FWD-equipped CLA 250, and 24/32 in the 4Matic version. The AWD-packing CL45 AMG offers this same engine, but Mercedes upgrades it with a twin-scroll turbocharger and some beefed up internal components. This change boosts power numbers to 355 hp and 332 lb-ft of torque using a quicker-shifting version of the 7-speed auto-manual shifter. All this extra grunt, however, doesn’t use much extra gas, with mileage figures standing at a respectable 23/31. Both editions of this force-fed I4 sport standard engine stop/start technology, which shuts down the engine at a stop and automatically restarts it when the accelerator is pressed. Oh, and the 7-speed auto-manual again boasts a Sport mode for some extra pizzazz in shifting and throttle response, not to mention some added reverb from the dual exhaust pipes to go with the Eco and Manual modes. Standard safety stuff in this affordable, yet all-inclusive, Mercedes includes 4-wheel antilock brakes (ABS), side-mounted and head curtain airbags, front fog/driving lights, turn-signal-integrated mirrors, a post-collision safety system, and a remote antitheft alarm. Available safety equipment includes Active Parking Assist, and the Driver Assistance package sporting blind spot alerts, lane-keeping assistance, and adaptive cruise control that’s complemented by the previously mentioned upgraded front collision warning and braking system. What's your take on the 2015 Mercedes-Benz CLA-Class? Users ranked 2015 Mercedes-Benz CLA-Class against other cars which they drove/owned. Each ranking was based on 9 categories. Here is the summary of top rankings. 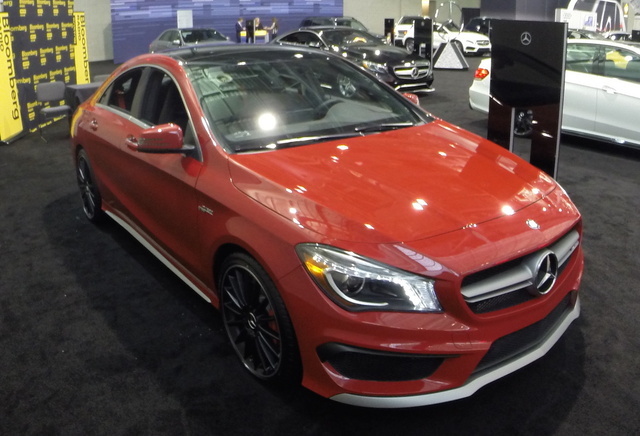 Have you driven a 2015 Mercedes-Benz CLA-Class? Why don’t I get the option to reset the A0 service on my mercedes 2015 cla 250? Is Keyless Start ( Not Keyless Go) A Standard Feature In CLA 250 In USA?